The tragic death of 51 people in a fire in a Bucharest club has led to mass protests which resulted in the resignation of Romania’s Prime Minister Victor Ponta. The story how a new generation of active citizens is taking control of their country’s future, fighting corruption and government unaccountability. A sea of candles illuminate the view of an abandoned industrial complex with an eerie red hue when walking on the street leading to Colectiv club. Almost two weeks ago, a firework show during a metal concert in a part of the old shoes factory that housed Colectiv, ignited the acoustic foam on the ceiling of the club. Within seconds, the whole room was a burning inferno. The more than 400 young people inside, who thought they had a great night of partying ahead, had to fight a battle of life and death instead, trying to make their way in excessive heat and smoke to the sole exit for safety. 51 people lost their lives. Some hundred people remain hospitalised as of today, many of them in critical condition fighting for their lives. The thousands of candles that are still being placed each day in front of the club by the citizens of Bucharest, are a reminder how deep this tragedy has affected the community. If people didn’t already know one of the victims personally, they knew very well that it could have easily been themselves being in such a horrific position on a night out. After the initial shock of the fire had been subdued, the people and the media began looking for answers how this could ever have happened. Why was it possible for the club to have a firework show without a permit? How can they let 500 people inside when Colectiv was only authorised to hold 80? Why didn’t they use fireproof materials, or was there only one exit of less than a metre wide? Where was the oversight from the government, and the social responsibility of the owners for providing a safe environment? These were valid questions that turned to the exact heart of the biggest problems at stake in Romania: corruption, government (un)accountability, and a total lack of a shared social responsibility among many in society, who abuse the system to fill their own pockets, rather to care about building a better future for the next Romanian generation. These are the exact issues that have been plaguing Romanian society after a peoples revolution saw the overthrow of the communist Ceauşescu regime in late 1989. The following decade marked a slow and often painful transition to a free market democracy. With an old clique of former communists conveniently relabelling themselves as socialists winning the first democratic elections, the 1990s marked a rise in cronyism and a lack of true reforms and economic growth. Thanks to decades of communist rule, the people were largely apathetic towards changing their country for the better. Feeling powerless against a corrupt and aloof ruling elite and shady businessmen, many Romanians remained passive, thinking that whatever would happen, the situation would never change. For many, the only outlook of a better life was to move abroad for work, or to play along according to the rules of the land instead of the rule of law. Even while such people using and abusing the system in their corrupt power games are often reviled as şmecher (charlatan, con artist) in the Romanian language, many felt that only by adjusting to this mentality they could improve their personal situation. Only in the last few years the Romanian economy really took off, posting growth rates that are among the highest in Europe. EU accession and a modernising society saw a gradual change in mentality. The old generation is slowly replaced by one that only knows about communism by the stories of their parents and history books. With many of today’s generation as likely to make a city trip to London as to the old Saxon town of Braşov, and with many having experiences studying or working abroad, people are increasingly angry about the slow political changes compared to other countries, feeling ashamed by their corrupt ruling elite. In a remarkable turn of events, the new generation of young Romanians tried to take control of their beloved country in their own hands. First, it started with the Rosia Montana protests three years ago. A Canadian mining company was given the rights to mine for gold in an area of natural and historical significance. Romanians hit the streets all over the country protesting the deal, wanting to protect their heritage and being afraid of cyanide mining causing another disaster – a spill in 2000 in Baia Mare using similar techniques has been called the worst environmental disaster in Europe since Chernobyl. It took time and a lot of perseverance, but finally politician after politician saw the tides changing against them, so they sided with the Romanian people, making the deal undone in parliament. Of even more significance were the Romanian presidential elections last year. Sitting prime minister Victor Ponta was locked in a fierce battle with outsider candidate Klaus Iohannis, a former mayor of Sibiu who campaigned on an anti-corruption platform, combined with a positive message to actively build a better country together. In the multiple candidate first round, Ponta beat Iohannis, but falling short of a majority, Ponta proceeded to a second round run-off against second placed Iohannis. The first round was not without its problems. The facilities to vote at embassies abroad for the Romanian diaspora were wholly insufficient. People had to queue for hours, and thousands were not able to cast their votes. Besides the general lack of preparedness, the angry Romanian people also blamed Ponta for purposely obstructing the election process as the diaspora was mainly siding with Iohannis. Young people were appalled by the negative Ponta campaign smearing Iohannis, a protestant Transylvanian Saxon, on not being a true Orthodox Romanian. Driven by an unprecedented drive and turnout by the diaspora and young vote, Iohannis managed to beat Ponta in the second round, becoming Romania’s new president. A positive message of hope, change and rolling up the sleeves to build a better future, decisively won against one centred on fear and old politics. With the liberal Iohannis in office for a year, but with Ponta still governing as prime minister with his social-democratic party, both men clashed frequently over the last year. In September, Ponta became the first sitting Romanian prime minister to go on trial charged with corruption. He faces allegations of fraud, tax evasion and money laundering. Calls from Iohannis for him to do the honourable thing and step down remained unanswered. Ponta wasn’t the only one facing corruption charges. Under the firm and inspiring lead of Laura Codruța Kövesi, the Romanian Anti-corruption Agency (DNA) has been on a roll last year, investigating 12 members of parliament across political lines, and two ministers, winning widespread praise from the European Commission. A week before the tragic fire saw more political intrigue uncovered. Like the fire at Colectiv, it was another tragedy that brought it to light. A policeman riding along the motorcade of interior minister Gabriel Oprea died when his motorcycle hit a big pothole at speed. It turned out Oprea quite a bit abused his position: since the beginning of the year he used 1600 times an escorted motorcade, even when going to restaurants or visits to a beauty salon. By comparison, Iohannis, who actually has the right as president to use a motorcade, only used it for 400 rides. Before that fatal evening of the fire on the 30th of October, the patience of the Romanians with their political elite was already slowly boiling over. After the initial shock and grieving over the victims of the Colectiv fire, the mood of the people turned against their government. Much like the Romanian revolution in 1989, which started when a protest to support dissident pastor László Tőkés was brutally squashed, it took the death of some of their countrymen to rise up and not bulge anymore. The days after the fire saw tens of thousands of people flocking the streets of Bucharest, demanding Ponta, Oprea and a local mayor to take responsibility and step down. Each day saw more people joining on the streets in peaceful protests, blocking some of the major intersections of the city each evening until deep at night. It had its resulted effect: all three culprits stepped down from their posts. The only difference this time: the people will not rest with this accomplishment. Even Iohannis, a hero to many, is hold to a very critical eye as Romanians demand more change than has so far being delivered and promised by him over the last year. The process of picking a new interim prime minister, the responsibility of the president by law, came under intense scrutiny by the intelligentsia and the people on the street. In consulting with some protestors and a handful of civil society leaders, Iohannis is at least signalling his good intentions to listen to the demands and really try to implement promises of a better Romania he campaigned on. His pick of Dacian Cioloş, a capable former European Commissioner of agriculture, has been given positive feedback by many. It his now his job to try to form a new government and win back the trust of the people. Beautiful Maramures region – Romania is a country worth fighting for! The recent events in Romania are a hopeful sign for the future of the country. While there are positive signs the mentality is changing, Romanian still often feel negative about themselves and their country. Sure, there is a lot out there which needs to be improved. Corruption is of course not eradicated in a single stroke. The huge amount of injured people at Colectiv still show that albeit the heroic work of medical personnel and a big improvement of health care over the last decade, doctors are still underpaid and some hospitals still not up to standards. But after years of passively complaining, Romanians should be proud what they achieved in their country so far. The recent events mark the third time in the last years the Romanian people managed to accomplish a huge feat in their battle for their democratic rights, and to build an even better country for their children. Not only are they proud to live in the most beautiful country of Europe; from the lively beaches at Vama Veche to the Carpathian mountains, from the lovely old town of Sibiu to the Danube delta and wild Maramures. The new young Romanian generation that is taking control of their own destiny, can now be equally proud to be a great example in active citizenship and participation for the rest of Europe. After all, it are the people, not the politicians, who make a country great! 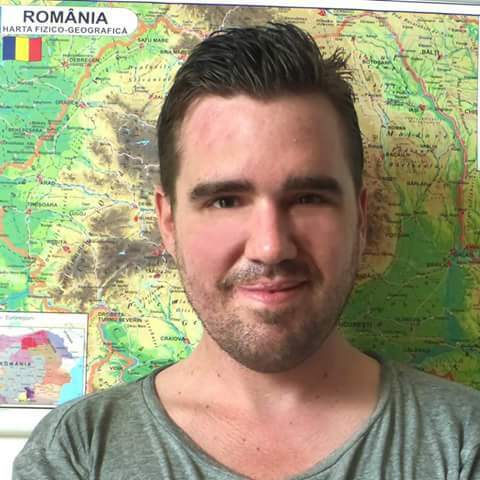 Koen Berghuis is former Network Commissioner, former Mediation Commissioner, member of AEGEE Cluj-Napoca, and a freelance reporter proud to live in Romania.